The nice thing about snacks that come in a burlap bag is that you can tie them to your belt and look like an old timey potion master. And isn't that the dream? Isn't that EVERYONE'S dream? 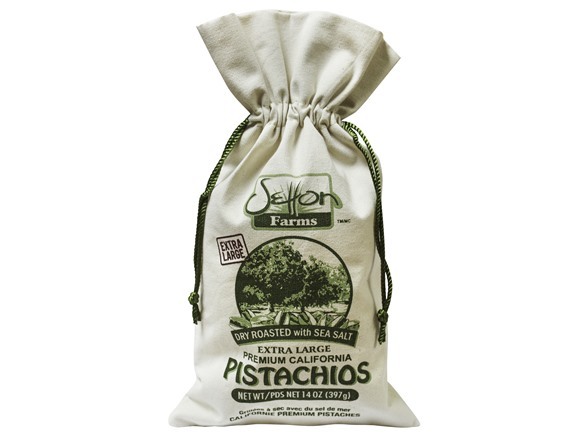 (2) - Setton Farms Extra Large Premium Pistachio Burlap Bag, 14 oz. 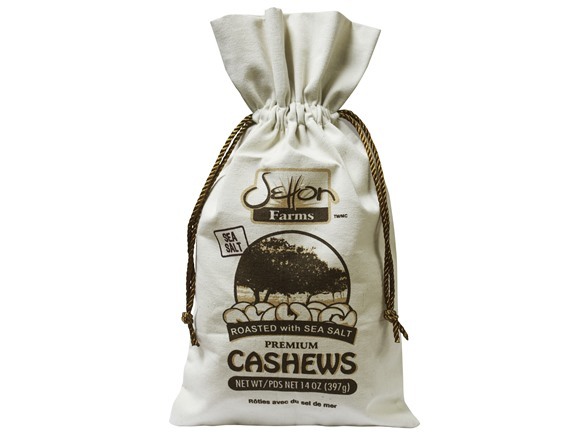 (2) - Setton Farms Premium Cashew Burlap Bag, 14 oz. 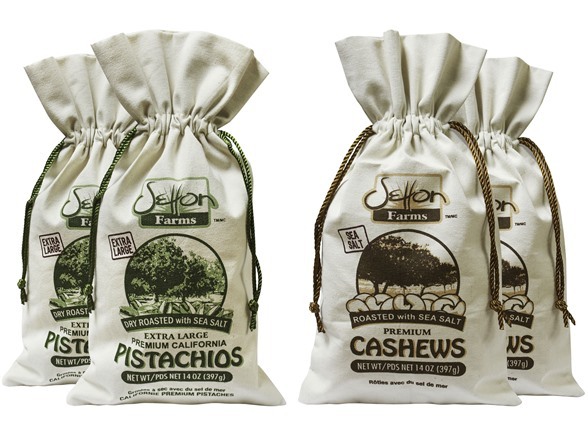 Burlap bags give you that straight-from-the-farm look and feel and are made out of 100% reusable cotton and feature a sealed inner bag of clear film, which guarantees that the premium California pistachios inside remain fresh. Burlap bags give you that straight-from-the-farm look and feel and are made out of 100% reusable cotton and feature a sealed inner bag of clear film, which guarantees that the premium Cashews inside remain fresh. 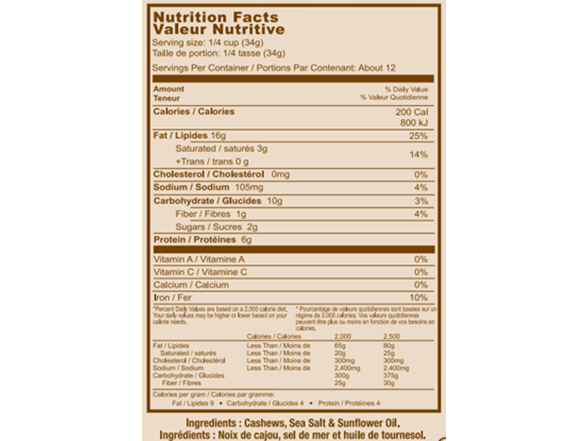 Ingredients: Cashews, Sea Salt, Sunflower Oil. We learned long ago that producing the best tasting, most wholesome pistachio nuts starts with the growing process. From the moment the seedling is planted to the moment the pistachios are picked from the tree, our orchards follow strict cultivation standards. 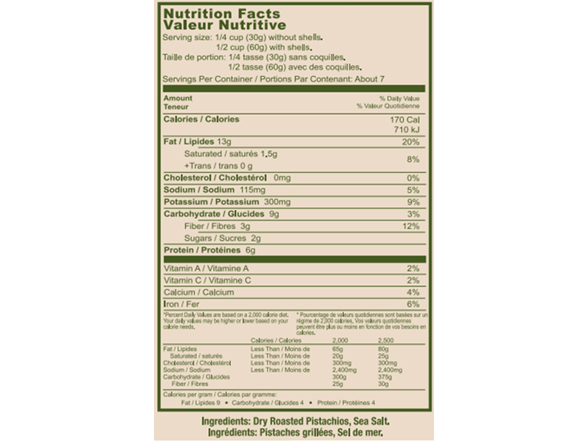 Setton maintains one of the most sophisticated food safety programs in the entire nut industry with self-imposed quality and technical standards which exceed government and industry guidelines.